You'd be hard-pressed to find someone in Timmins who doesn't know who Michael Doody is. Doody was the mayor of Timmins in the late between 1977 and 1980, followed by a stint as an alderman. He was recently defeated, but managed to string together 35 years of municipal politics. 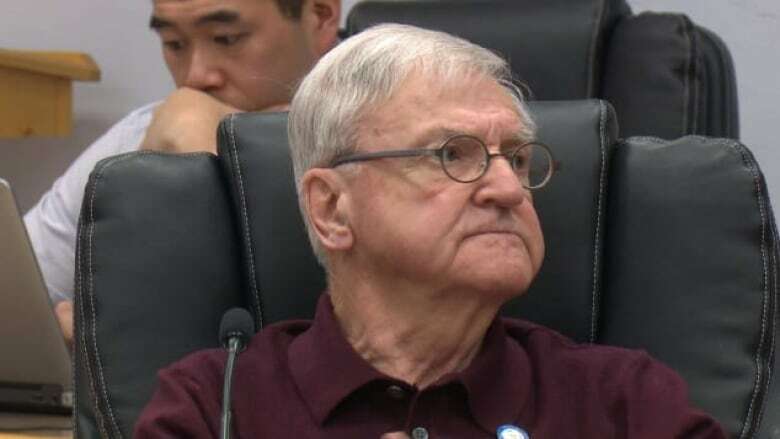 The 82-year-old Doody has also worked in television and radio, and volunteered with all kinds of organizations, including the Northern Ontario School of Medicine and the Spruce Hill Lodge. Doody was also a founding member of the Timmins Underground Gold Mine Tour Executive Committee and chair of the Library Board. He told CBC's Morning North that he often reflects on his decision to set down roots in Timmins, beginning with his time at a local radio station. "It was a different time," Doody said. "I was playing 33 ⅓ records. When the 45 came out, what a revelation." "[During that time] I met some great people who went on to do well in the radio business," he added. "But I liked Timmins, met a local girl, married her, and settled down. It just worked out for me." Doody said it was around that time he began to take his interest in politics more seriously. A self-described "newspaper reader" who had covered the city hall beat from time to time, he was familiar with the ins and outs of city hall. He was elected mayor, serving the town from 1970-74. But he didn't give up his business in the radio and television industry. "When I became mayor, they only paid $18,000," Doody said. "I realized I can't live like that. So we worked out a deal, where I also worked at the television station." Doody credits the people of Timmins as the reason for his success. He says he was "well treated" by people in the region, and says the history of the community holds lessons for others. "People came to Timmins from all over the world, to work," he said. "We can't forget that, people came from all over the world to have a job and a new life." "The secret of success for us in Northeastern Ontario is we have to work together. And we're doing that more and more," Doody said. "If we work in conjunction with Kapuskasing, Cochrane, Hearst, Kirkland Lake, and on a larger scale with the Sault, Sudbury and North Bay. We're just on the cusp of truly being a regional centre." "We can't always look to mining to do it for us. We have to establish ourselves as the economic centre of this region."